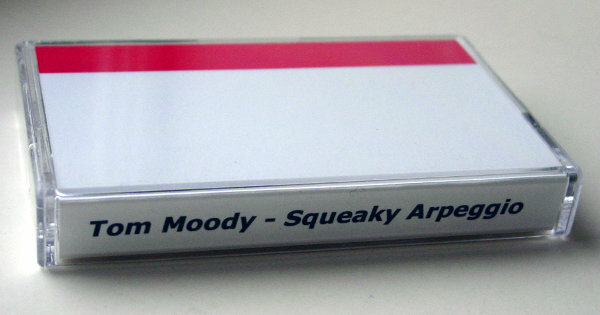 The cassette versions of my 2014-5 bandcamp releases came in clear plastic shells without paper j-cards. After teaching myself how to make j-cards for my newest releases, the older ones suddenly looked naked! Even though I had managed to cram all relevant info onto the cassette labels. So I made retroactive j-cards for the existing cassettes. Very simple design -- basically just a way of getting text onto the spine for easier identification. If you bought one of the 2014-5 batch and want a j-card, shoot me an email and I'll be happy to send.